Michael Gellis compares liposuction satisfaction rates between low and high body mass index patients under awake local tumescent anesthesia in 1,826 cases. There were also groups of patients plastic surgeons were told to avoid performing liposuction upon: the very low body mass index (BMI) and high BMI patients. The reason given, also without statistical support, was that these patients would never be satisfied. This begs the question, considering liposuction, whether or not there is a difference in the rates of satisfaction among patients with different BMIs? In 1997, the World Health Organization (WHO) introduced today’s BMI standards, recognizing a BMI of 30 or more as obese. Soon after, in 1998, the National Heart, Lung, and Blood Institute (NHLBI) and National Institutes of Health (NIH) published the same criteria2. Therefore, in this study, a BMI equal to or greater than 30 was considered obese, as opposed to a BMI less than 30 being considered normal or simply overweight. Unmonitored self-assessment surveys have been consistently used to evaluate satisfaction and obtain data from patients since there were no suggestions from a medical provider to influence the answer. The patient could give accurate information as to what they believed to be factual of their experience and results. Most unbiased surveys were either conducted by mail or internet to provide identification privacy. This retrospective study was conducted to compare post-operative liposuction satisfaction rates between low and high BMI patients ranging from 18 to 43 BMI. A 3-month post-operative survey was collected from 1,826 patients, during the time period between 1/9/13 through 30/8/14. A total of 9,540 surveys were sent out and 1,826 were returned, giving a response rate of 19.14%. The survey was conducted online via email through a survey provider (SurveyGizmo, Boulder, CO). When the surveys were returned, the data was divided according to BMIs and satisfaction scores where a BMI of 29 and below was considered normal or overweight, and a BMI of 30 or above was considered obese. Associated with those divisions, the number of patients and the average satisfaction score for each BMI category were recorded. We also recorded the patient’s age, but did not consider satisfaction scores compared to age in this study. After the data was collected, patients were divided into two categories: high (≥30) and low (<30) BMI; the categories contained 740 and 1,086 observations respectively. The average satisfaction scores, numbers of patients within each BMI category, and percentage of total are shown in Table 2, this data is plotted in Figure 1. This indicates that the average satisfaction for a ‘high’ BMI patient is 3.72, and the average satisfaction for a ‘low’ BMI patient is actually lower: 3.667. This regression holds very low predictive power, predicting only 0.047% of the variation in satisfaction between patients, indicating that virtually all of the variation (the other 99.953%) not predicted by the model is explained by other factors, such as a surgeon’s technical ability or bedside manner. The null of a two sided t-test is rejected at the 5% level if the absolute value of the t statistic is greater than 1.96. The t statistic of β1 is -.92; consequently the null hypothesis cannot be rejected. The difference in satisfaction between patients cannot be shown to be statistically distinct from zero with a reasonable degree of certainty. Not be severely depressed or psychotic. Frank Herhahn, MD, also offered guidelines for choosing the ideal patient: ‘usually less than 35 years old and falls within the ideal weight for his or her height and body type,’ although the source listed no method, such as BMI, for determining the ‘ideal weight’ for height and body type3. The patient should also have good skin turgor, no cellulite, firm adiposity, little sagging, and no striae. The so-called ‘average’ patient at that time was 30 to 45 years old, and 5 to 10 pounds above the ideal weight ‘for his or her height and body build.’ At that time, the ‘less-than-ideal patient’ was over 35 years old and 10 to 20 pounds overweight. Those comments were recorded in 1984 when liposuction began in the United States. In today’s world, those ideal patients only represent a tiny minority of patients upon whom plastic surgeons actually perform liposuction. There has been minimal discussion concerning satisfaction rates in high BMI liposuction patients. Within the literature, the following has been researched. When patients’ BMIs were included in an article about satisfaction after liposuction and abdominoplasty, 79.4% of those patients had a BMI less than 304. In that study, surveys were conducted by in-person interviews of 360 patients, and the results demonstrated an 82.5% satisfaction rate ‘of liposuction patients whose results met or exceeded their expectations.’ That study compared its results to other studies which documented satisfaction rates ranging from 76 to 85%. However, one must realize that this data collecting was done through face-to-face biased interviewers, where patients were possibly influenced in giving their opinions. 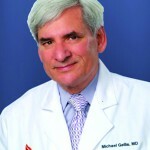 On a different note, in a Continuing Medical Education (CME) article on liposuction in Plastic & Reconstructive Surgery in 2008, Ronald Iverson, MD, remarking on the topic of patient satisfaction, stated, ‘patients who were committed to a positive lifestyle change or who were already cognizant and practicing a “healthy lifestyle”…’ showed the highest satisfaction rates5. Another study considering post-operative satisfaction between patients who gained weight or did not gain weight after liposuction was performed by Rod Rohrich, MD, in 2004 via a mailed questionnaire6, and concluded that regardless of whether patients gained or lost weight after liposuction, 73% of those who gained weight and 82% of those who did not were either very satisfied or satisfied with the procedure and that given the chance, 72% who gained weight and 82% who did not said they would have it done again. There was no mention, however, comparing satisfaction rates considering actual BMIs. 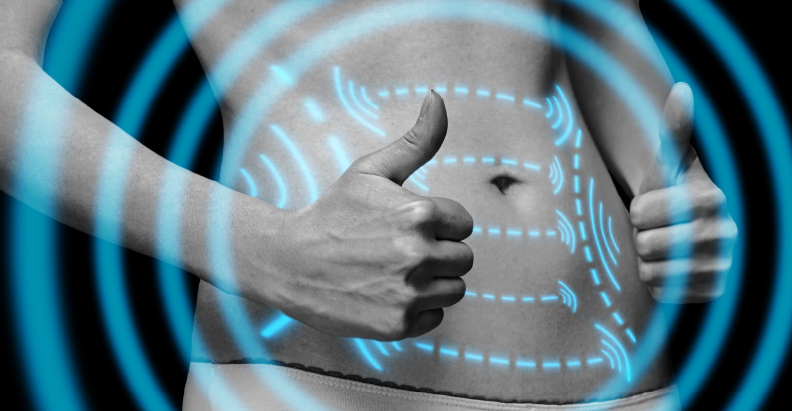 An article assessing the improvement in the quality of life and patient satisfaction following body contouring surgery was published in 2013 by Shehab Jabir7. Predominantly a psychological study, this research used an unbiased method to determine, among other things, patient satisfaction following body contouring surgery. Multiple questions were given to the patient without physician or technician bias added. The types of surgeries performed were mostly body contouring, such as lipectomy after massive weight loss. The questions, called ‘instruments’ for determining satisfaction and reaching expectations, determined that 61.5% of the results were in accordance with the patients’ expectations. Other studies sought to compare the percentage of patients among different levels of satisfaction, for example comparing patients with different satisfaction ratings of ‘bad’, ‘okay’, ‘good’, or ‘very good’. Our study, however, averaged the satisfaction scores for each BMI in order to prove there is no statistical difference in these rates among high and low BMI categories, but did not include an analysis of the percentage of patients who rated their satisfaction scores as 1, 2, 3, 4, or 5. This comparison proved that there was no statistical difference in satisfaction among all BMIs. There are other factors that this study did not evaluate and may have some bearing on results. For example, does age have a bearing on satisfaction rates? Or does percentage of fat removed have a similar bearing on satisfaction rates? Further studies will be needed to elucidate that. Although conventional wisdom holds that high BMI patients would be less satisfied with liposuction than lower BMI patients, the findings in this sample refute this assertion. In fact, when considering BMI categories ranging from 18 to 43, the satisfaction rates among these groups were not statistically different. It is possible that a more evenly distributed sample would yield different results. The study was performed using an unbiased electronic survey which was more accurate than a face-to-face biased interviewing process. How age, weight gain, diet, and exercise affect post-operative satisfaction are other factors that need to be researched. Declaration of interest The author declares no potential conflicts of interest with respect to the research, authorship, and publication of this article. Rohrich RJ, Broughton G, Horton B, Lipschitz A, Kenkel JM, Brown SA. 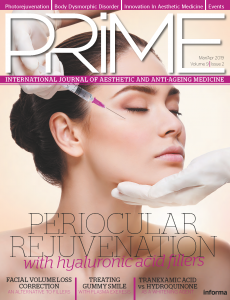 The Key to Long-Term Success in Liposuction: A Guide for Plastic Surgeons and Patients. Plast Reconstr Surg 2004;114:1945-1952.